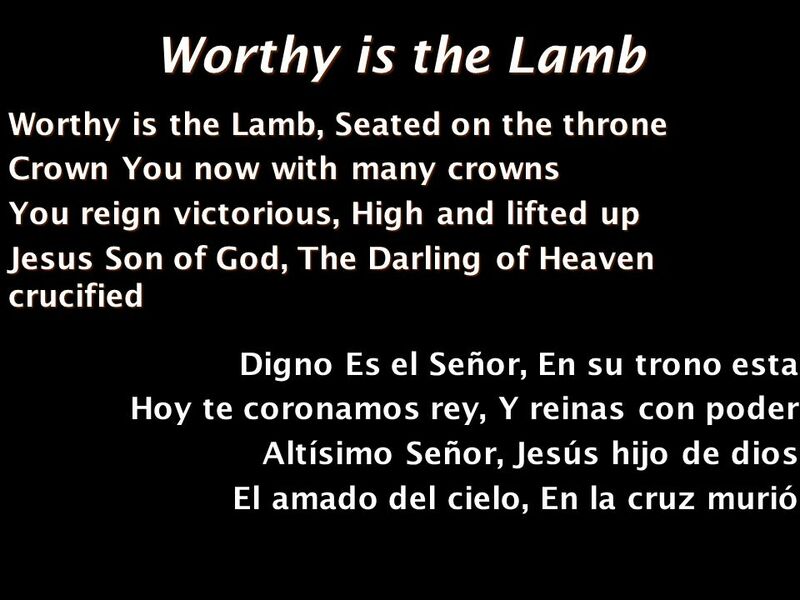 Worthy is the Lamb Thank You for the cross Lord Thank You for the price You paid Bearing all my sin and shame In love You came And gave me amazing grace. 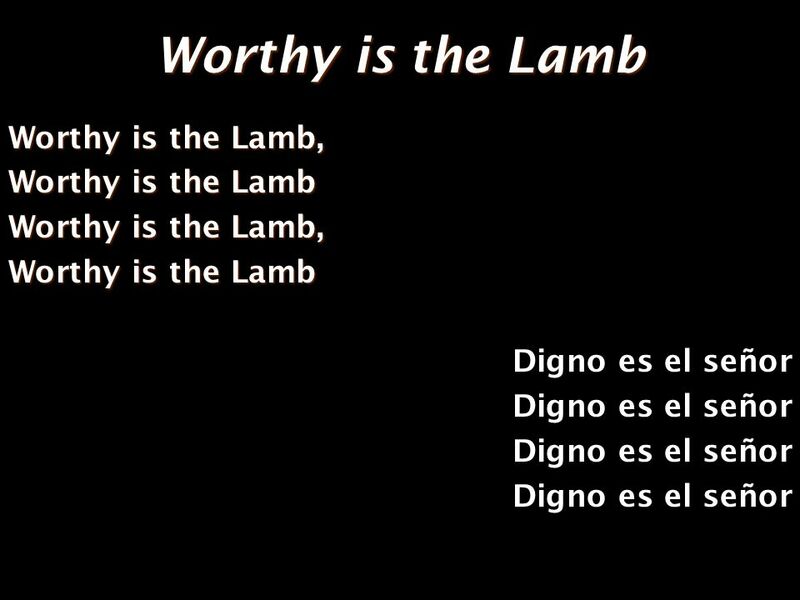 Descargar ppt "Worthy is the Lamb Thank You for the cross Lord Thank You for the price You paid Bearing all my sin and shame In love You came And gave me amazing grace." How Great is Our God El Rey en su resplandor Vestido en majestad La tierra regocijara Se viste de luz Y las tinieblas Desvanecerán Tiemblan a oír su voz. You Are Worthy of My Praise I will worship (I will worship) With all of my heart (With all of my heart) And I will praise You (I will praise You) With. Above All Above all powers Above all kings Above all nature And all created things Above all wisdom And all the ways of man You were here Before the world. I Will Sing of Your Love Forever Over the mountains And the seas, Your river runs With love for me And I will open Up my heart And let the Healer Set me. THIS IS With Host... Your La familiaAdjetivos Possesivos Tener Adjetivos Preguntas Importantes Ser. + Expresciones Hoy es el treinta de enero.. + Greetings Hola Hello ¿Qué pasa? Whats up? él nos brinda su amistad; es el pan de Dios, el pan de la unidad. Morocco. Souad Massi Ghir Enta. Jagadir Ppsx. #110 LOOR A TI SEÑOR. April-May Abril- Mayo. Llego abril y mayo y con eso el invierno el frío. April and May have come and gone and with it the end of fall the beginging of. Do you know who I am? (¿Sabes quién soy?) Soy alguien con quien convives a diario I’m somebody you live with every day.. (Soy alguien con quien convives.